over the years, I’ve built up a good collection of handbags. as someone who dresses more on the plain side, I know just how much bags & accessories in general can keep the most basic of outfits from being boring. along with shoes, I tend to spend more money on bags because I know that I’ll use them for a long while, but there are some high street pieces that I got for a steal & love just as much. most if not all of these pieces were bought on (major) sale or are vintage, and a lot of them were holiday & birthday gifts. 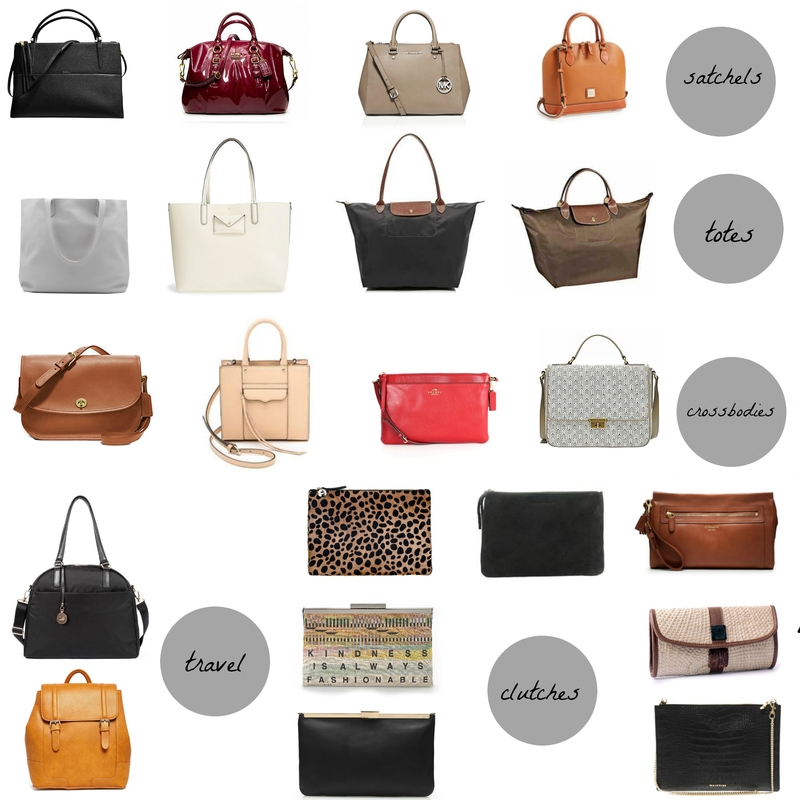 I’ve linked the exact bags if they’re still available; otherwise, I linked to something similar. I’m in the process of doing another closet clean-out, so this will be a fun way to document what I started with in the handbag department. p.s. I read somewhere that the average woman (whatever that means) has 21 bags…which means I’m right on the money. how about you?